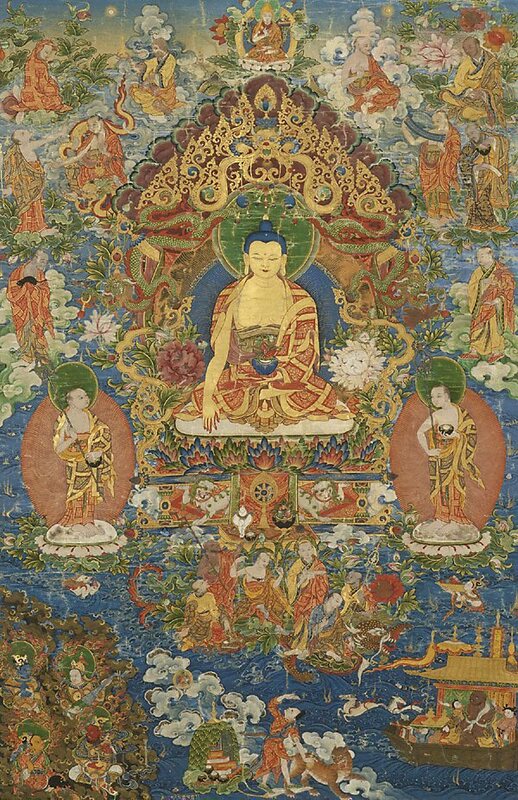 Adam Geczy, Art Asia Pacific [Issue 35] , 'Buddha: Radiant awakening', pg. 29-31, St Leonards, Jul 2002-Sep 2002, 29, 30 (colour illus. ), 31. Justin Paton, Look , 'Conversations. A new way to engage with the Gallery's Asian art', pg 22-13, Sydney, Oct 2014, 23. Jill Sykes, Look , 'Looking forward to 2015', Sydney, Nov 2014, 15 (colour illus.). Jill Sykes, Look , 'Buddha rules', pg. 13, Melbourne, Sep 2001, 13 (colour illus.). Michael Wardell, Look , 'Thanks to a generous benefactor', pg. 14-15, Sydney, Nov 2003, 14 (colour illus. ), 15. Judith White, Look , 'A landmark for the city', pg. 16-19, Melbourne, Apr 2001, 18 (colour illus.). The image appearing in this publication is a detail of the work. The Asian Collections Art Gallery of New South Wales , Sydney, 2003, 64-65 (colour illus.). The colour illus. on page 65 is a detail of this work. The arts of Buddhism , Sydney, 2001, front cover (colour illus.). The image that appears in this publication is a detail of this work.